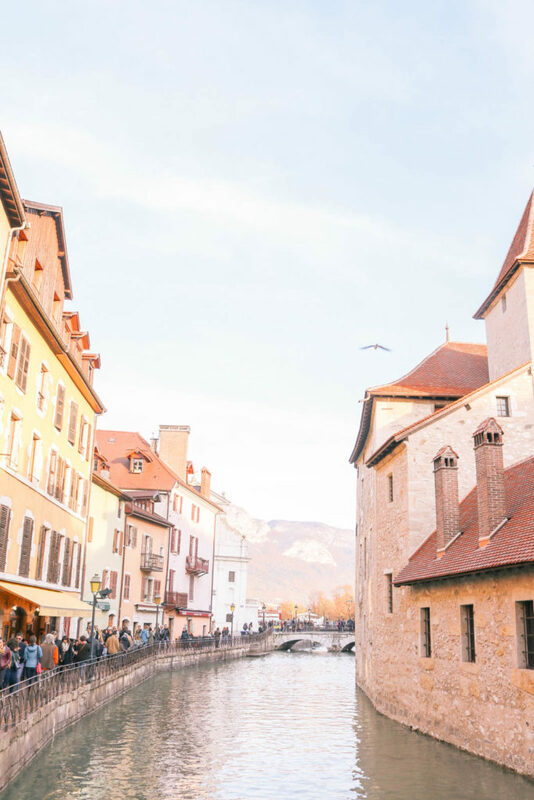 Looking for the best things to do in Annecy, France? We’ve got you covered! 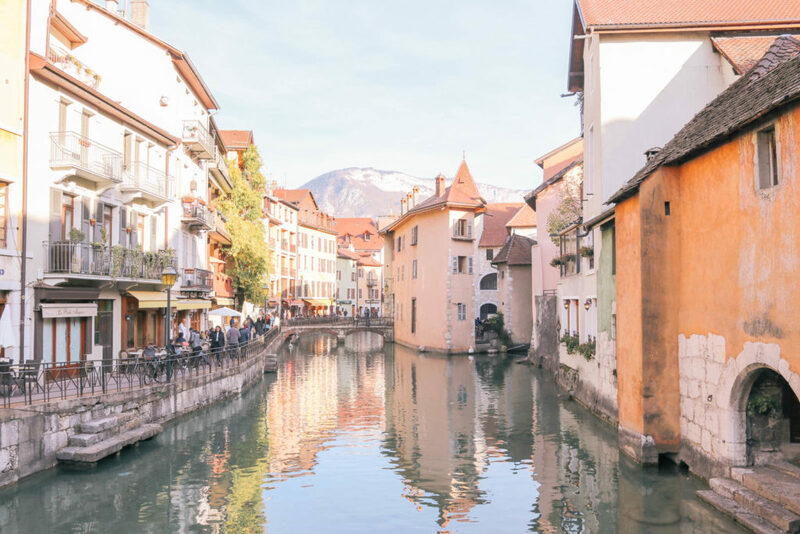 Annecy, France might be the prettiest town we visited on our France road trip. 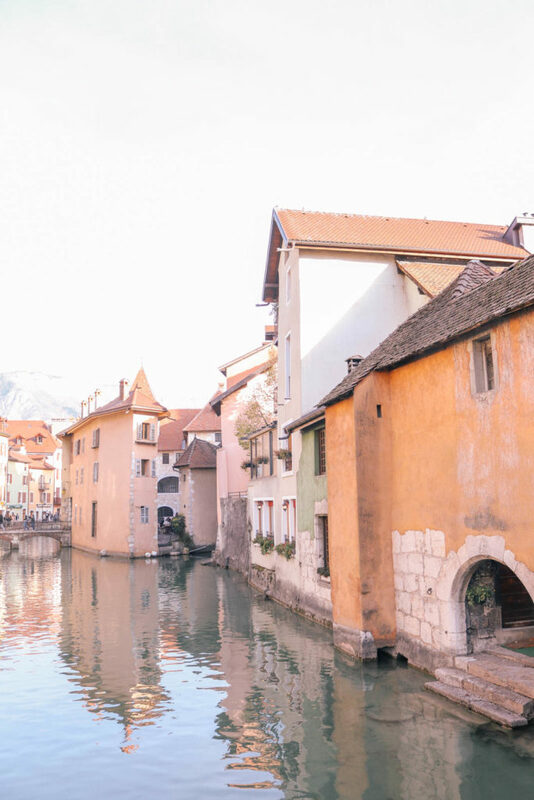 We know we say this about every French town we visited, but Annecy really is just so picturesque. Annecy, France is set on the edge of a bright blue lake, surrounded by mountains, and offers stunning views of the French Alps. 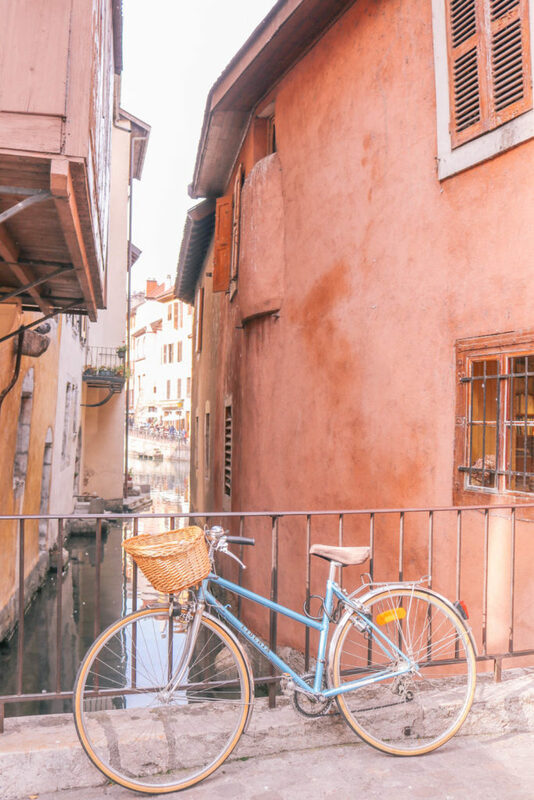 It’s known as the “Venice of the Alps” thanks to its many winding canals, candy colored buildings, and cobbled streets. The medieval town is very small, clocking in at just over 25 square miles, but it’s packed full of charm and lots of things to do. 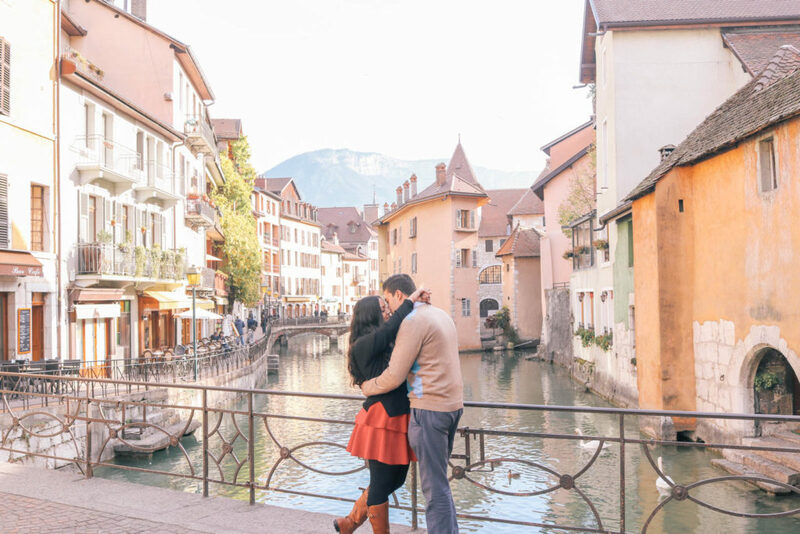 A day or two is more than enough to explore all the best things to do that Annecy has to offer and it is the perfect spot for a romantic getaway in France. 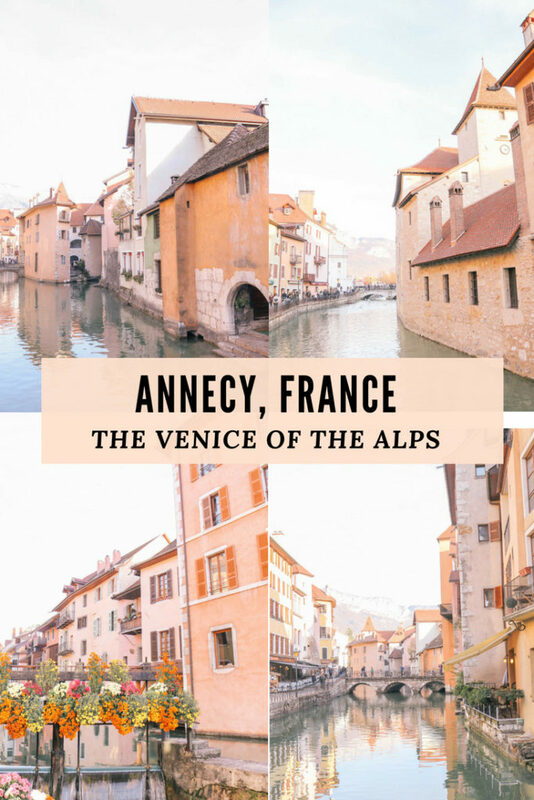 Here’s a guide to Annecy, France, including how to get there, the best things to do in Annecy, France, which restaurants to eat at, and which hotels to stay at. 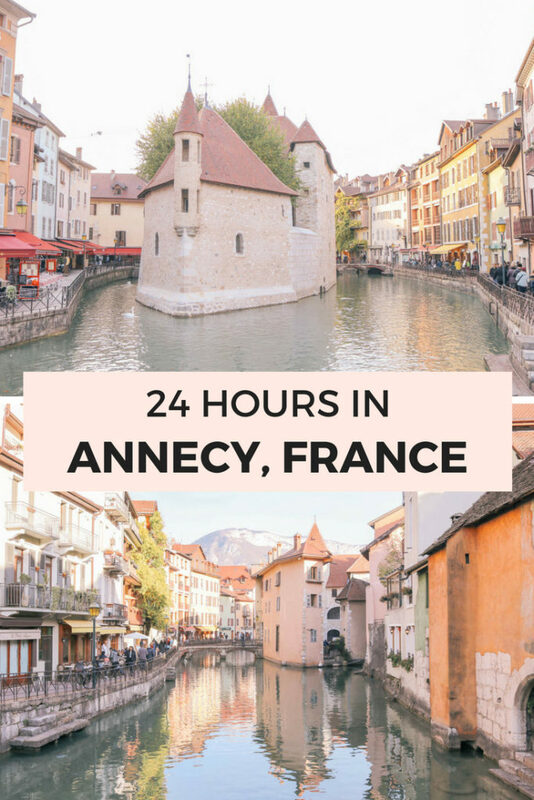 Annecy, France is really easy to get to from Geneva or Lyon. 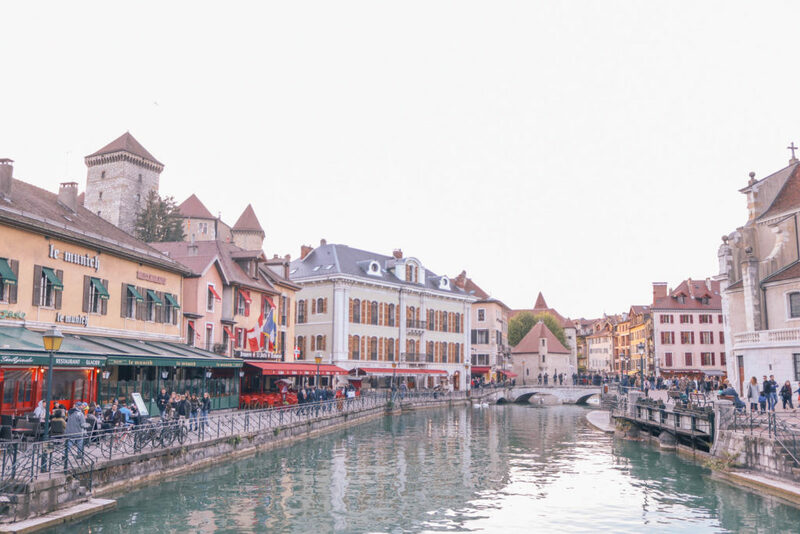 If you happen to find yourself in either of these cities with an extra day, we highly recommend a visit to Annecy, France. 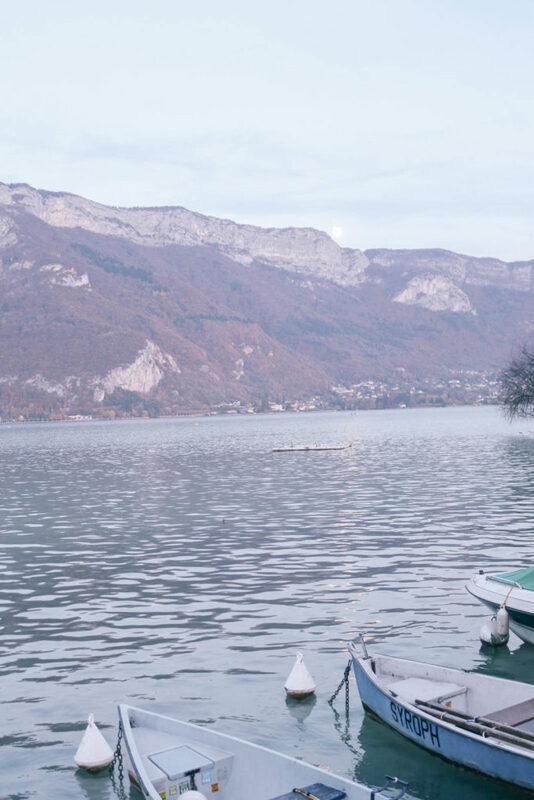 We drove to Annecy, France from Lake Como, Italy and found it to be a beautiful drive. 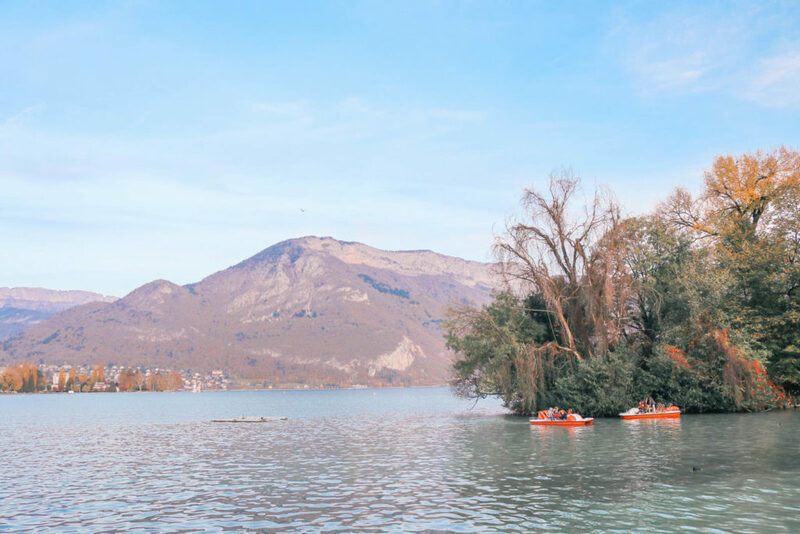 While we always prefer having our own car and driving, Annecy is also easily accessible via train and bus. 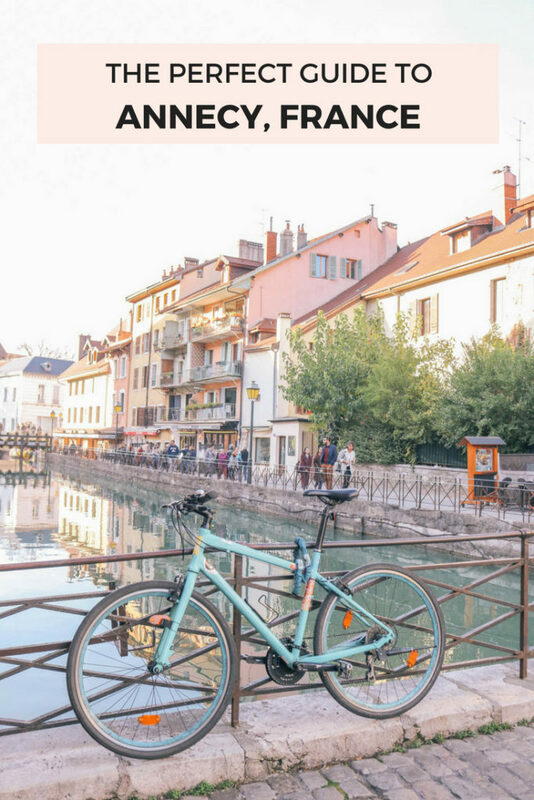 Once you’re in Annecy, you don’t need a car as the small town is easily navigated by foot. We parked our car at one of the many public parking lots in the city when we arrived and walked everywhere for the rest of our stay. 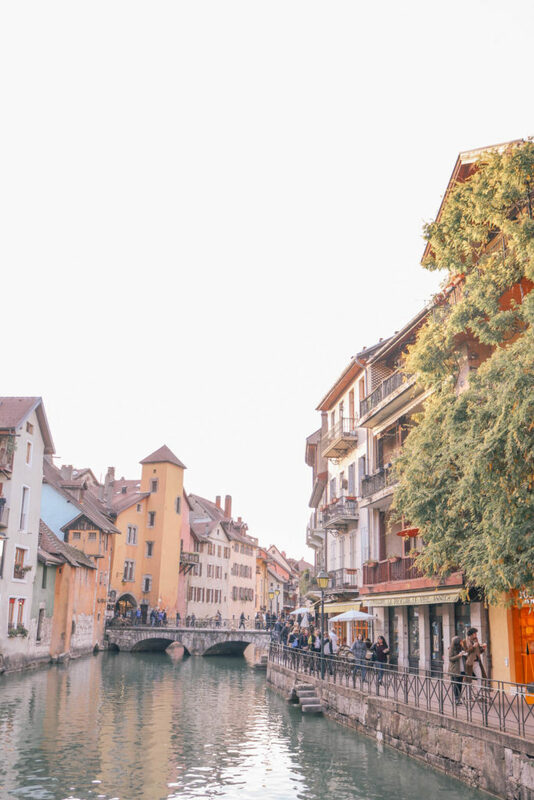 Tip: Annecy has a very similar vibe to Colmar. 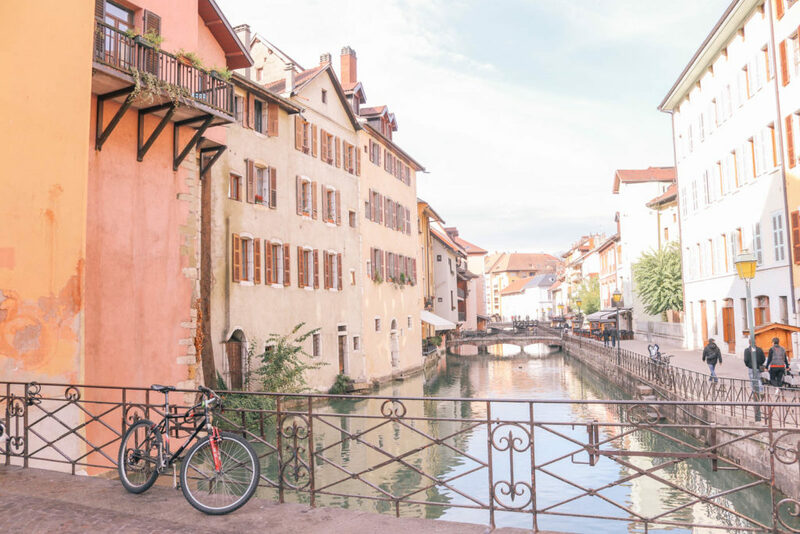 If you’re not near Colmar, consider adding a visit to Annecy! Spend a few hours wandering the whimsically colorful cobbled canals of Vieille Ville. We couldn’t get enough of this charming part of the town. It felt like walking through the pages of a storybook. Sit at one of the many cafes with a coffee and people watch. 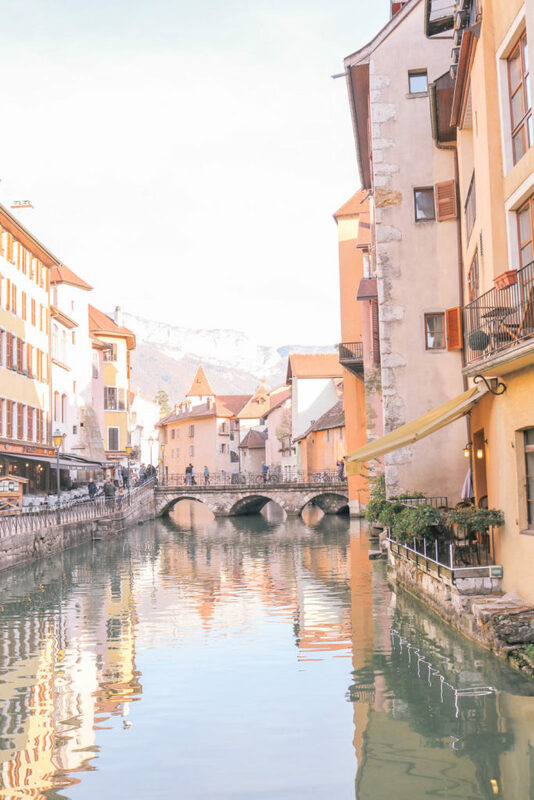 If this isn’t enough to make you fall in love with Annecy, I’m not sure any of our travel recommendations are for you, as this is exactly the type of town our travel dreams are made of. There are markets Tuesdays, Fridays, and Sundays, but the best one is the large Sunday market lining old town’s colorful streets. We unfortunately missed it when we visited. 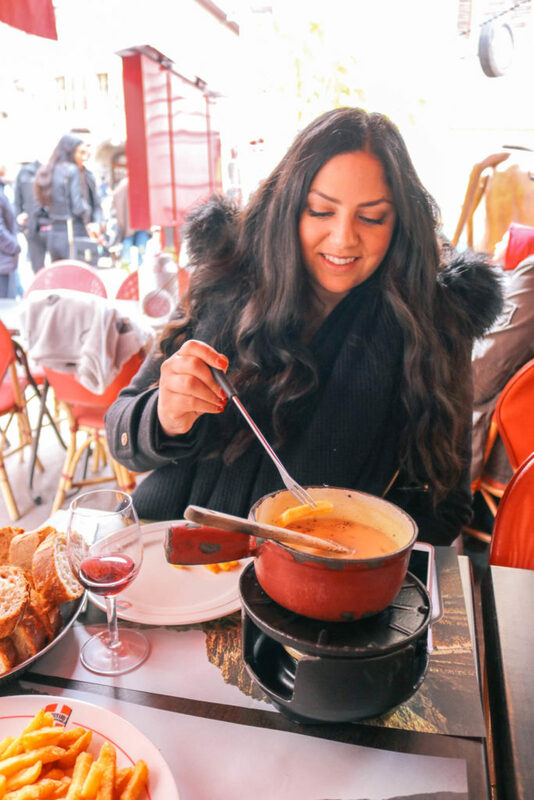 If you’ve ever visited a French market, then you know it’s a feast for the sense. If not, then you should visit! Make sure to try the salami style sausages in flavors like mushroom, goat cheese, and hazeulnut, as well as reblochon, a creamy cheese. The last Saturday of the month, the market is taken over by antiques. Rumor has it, that if you kiss on Pont des Amours or Lover’s Bridge, you’ll stay together forever. We tried it, of course, and we’ll let you know in a couple dozen years if it worked! 😉 Even if you don’t have anyone to kiss, it’s still worth a visit as the views of the lake and mountains from the bridge are stunning. Although Pont Des Amours is now a romantic (and touristic) destination, it was rumored to once be the spot to pick up “women of the night”. Lac d’Annecy (Lake Annecy) is the third largest lake in France and absolutely stunning. We didn’t have time to do this, but we would have liked to have rented one of the many paddleboats to take around the lake. You can also take a boat tour around the lake. 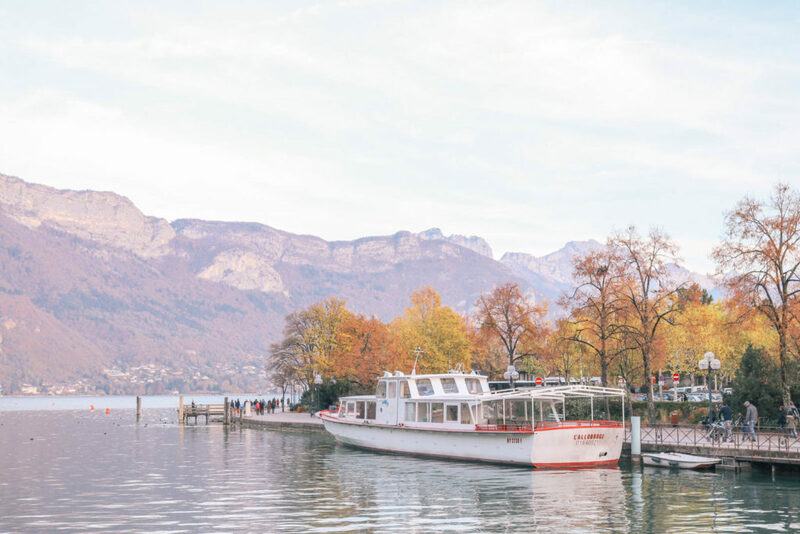 It’s such a beautiful way to see Annecy and take in all the majestic views of the town and the snow peaked mountains. 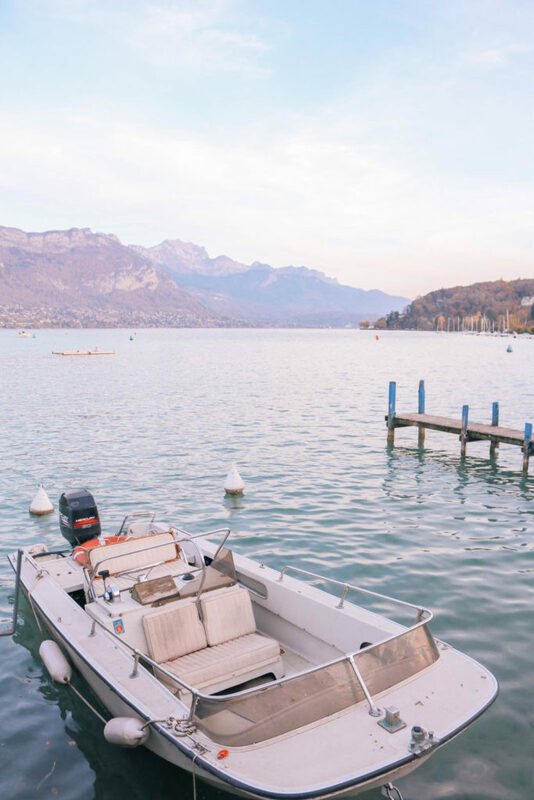 Lake Annecy is known to be one of the cleanest lakes in Europe and when the sun hits the crystal clear water, it shimmers like crazy. 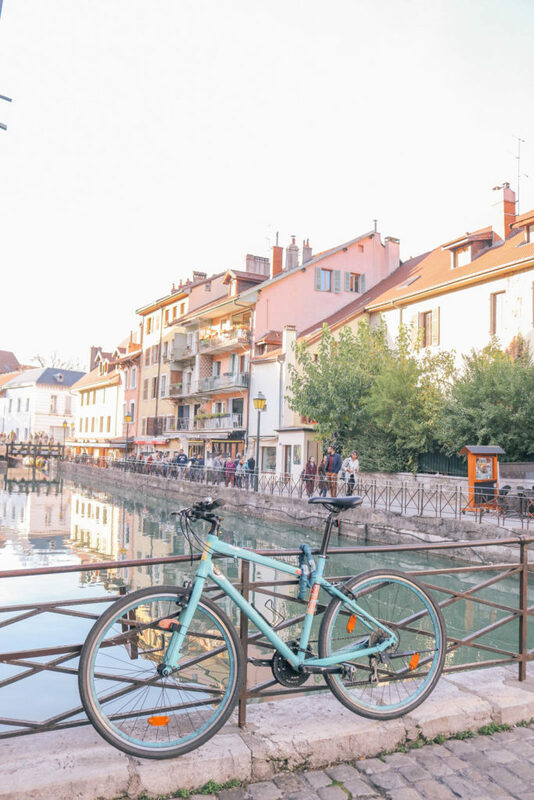 Alternatively, or in addition to by boat!, explore Annecy, France by bike. 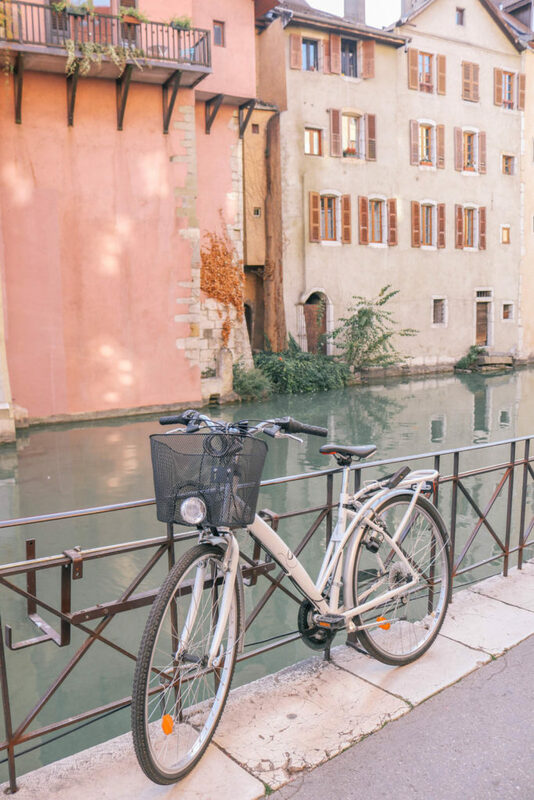 From March through October, you can rent bikes to explore the charming city and around the lake. I couldn’t get enough of photographing all the bikes I saw parked all along the town. There are many bike paths throughout the city. 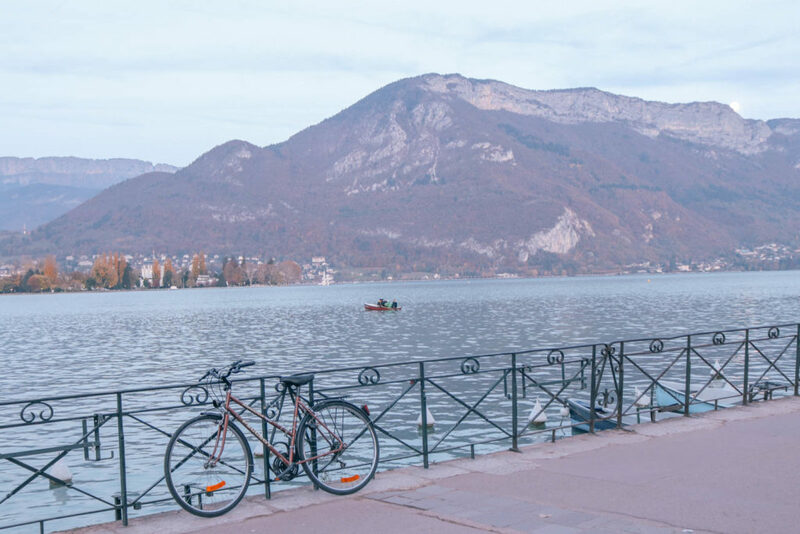 If you’re really ambitious, you can attempt to bike the entire 18 miles around Lake Annecy with stops along the way for snacks and cocktails at one of the many restaurants dotting the lakefront. 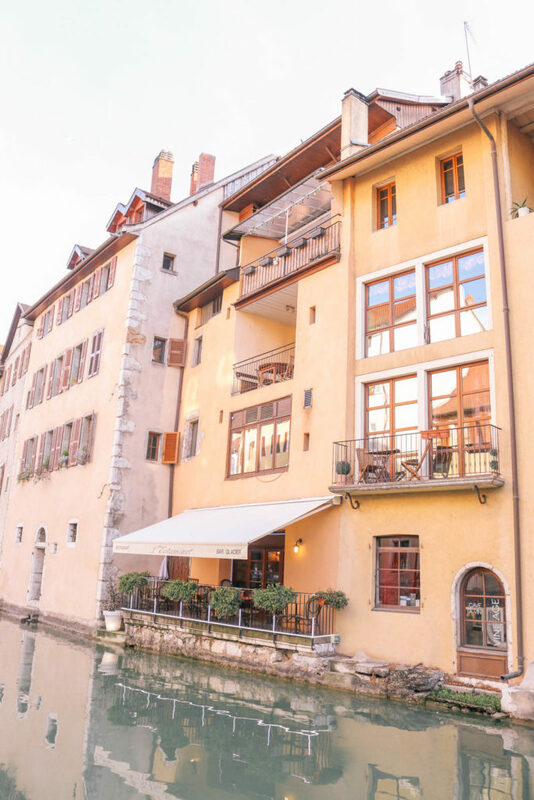 Palais de l’Isle is located right in the heart of Annecy’s old town and is the town’s most famous and photographed building. It was built back in the 12th century on a triangular island between two forks of the river. Although it looks like a mini castle, it has been used as a courthouse and a prison over the years. Today it’s home to a small museum, although we didn’t take a look inside. It’s gorgeous to view both day and night. 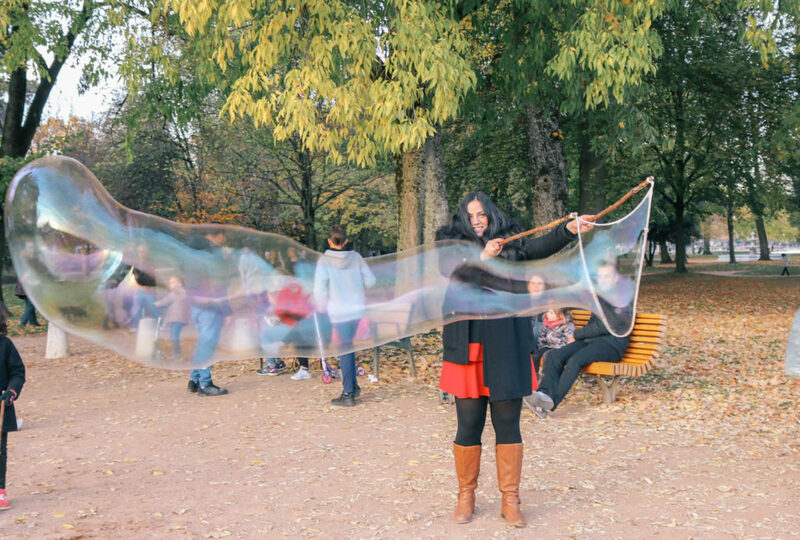 When visiting such a charming and fairy tale like town, why not pretend to be a kid again? 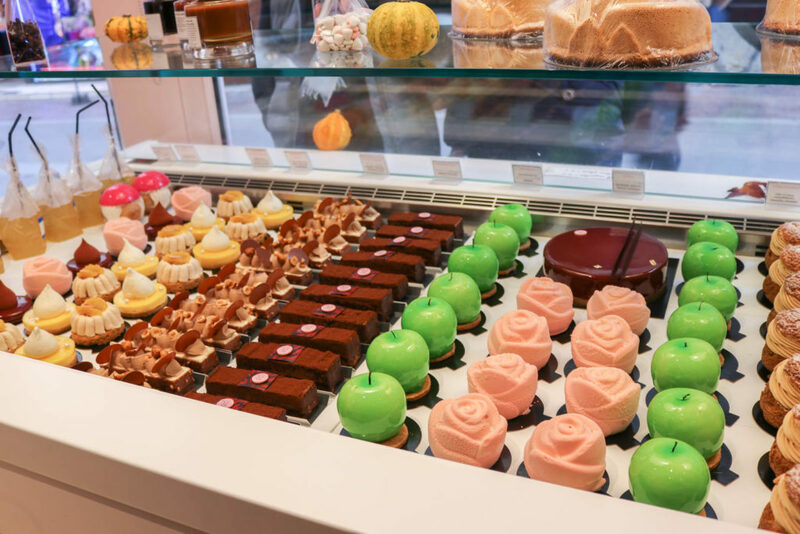 Stop by one of the many candy stores and satisfy your sweet tooth. 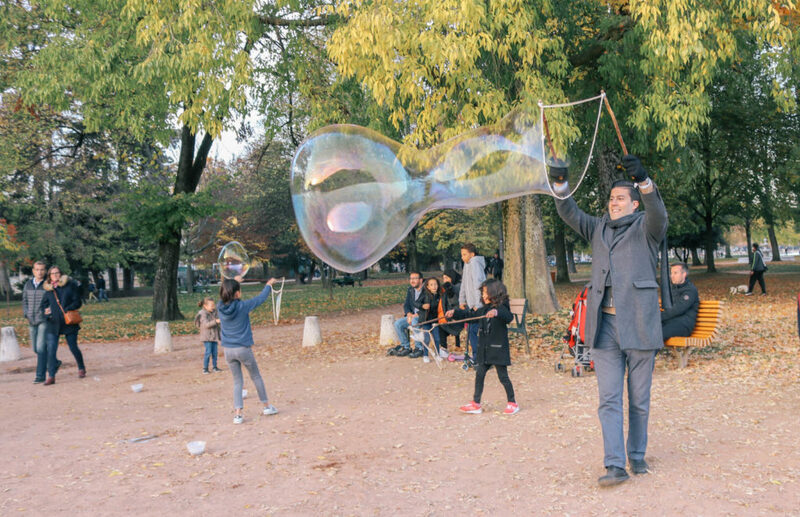 Play with giant bubbles provided for a donation by Lake Annecy. Run, skip, twirl. 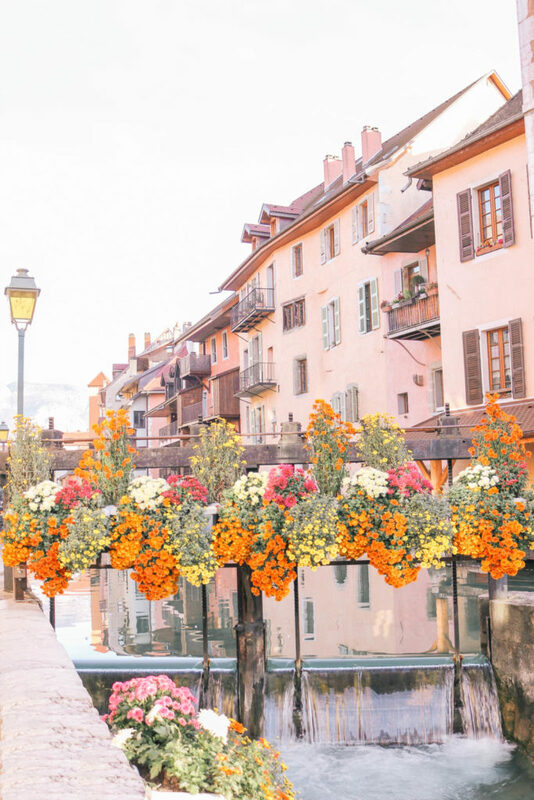 Annecy, France is what dreams are made of. Let your inner child come out and play. 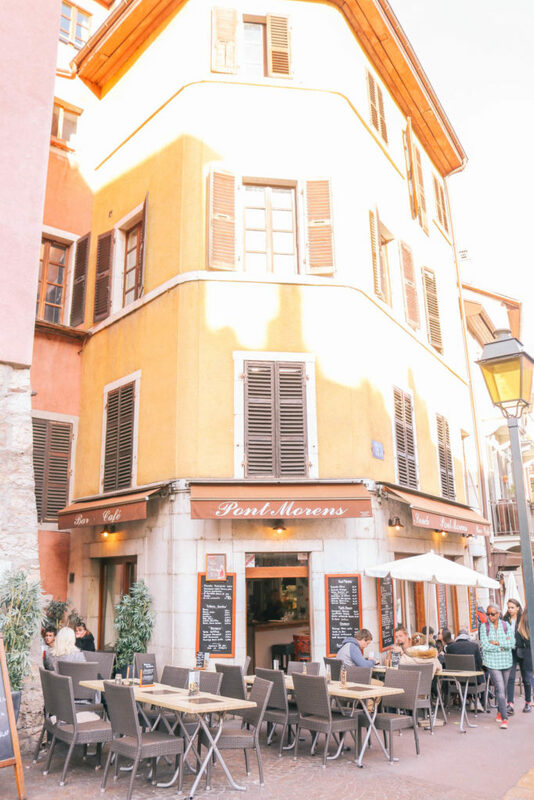 By the time we got to Annecy, we already had several wonderful meals in France and our expectations were very high. 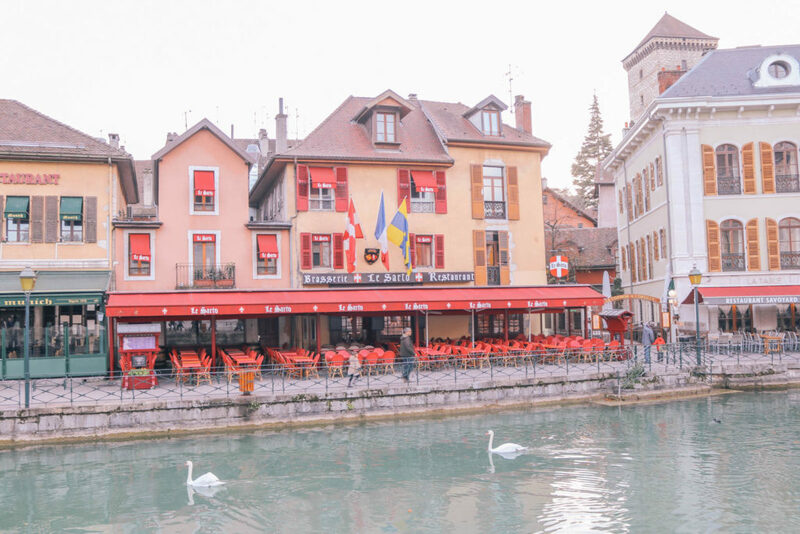 The food in Annecy was not our favorite. It was a bit heavier and richer than other regions in France. 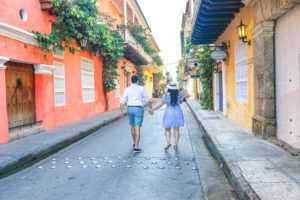 In addition, there are several tourist spots that you’ll need to try to avoid. Here’s where (and what) we recommend eating. Le Denti: we weren’t able to get a reservation, but we really wanted to eat here. Le Denti is a Michelin recommended resutraunt run by a young couple and very well priced for a nice dinner. It’s just outside the busy part of the city. 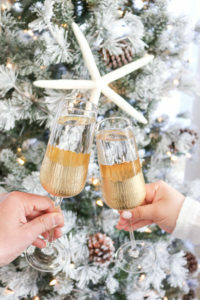 Make reservations if you can and let us know how it is! 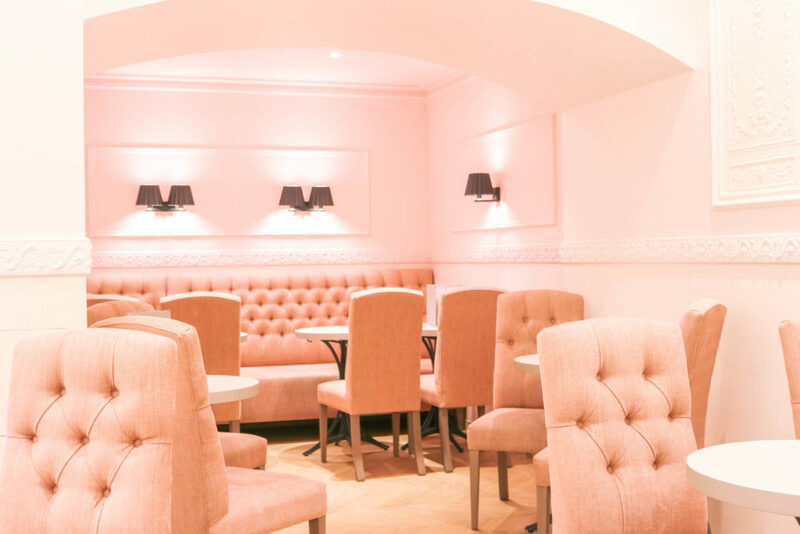 Rose Des Neiges: the cutest pink tea room! All the desserts we tried were so good, but you MUST try the Matcha mango passionfruit cake. SOOOO good! So what do you think? 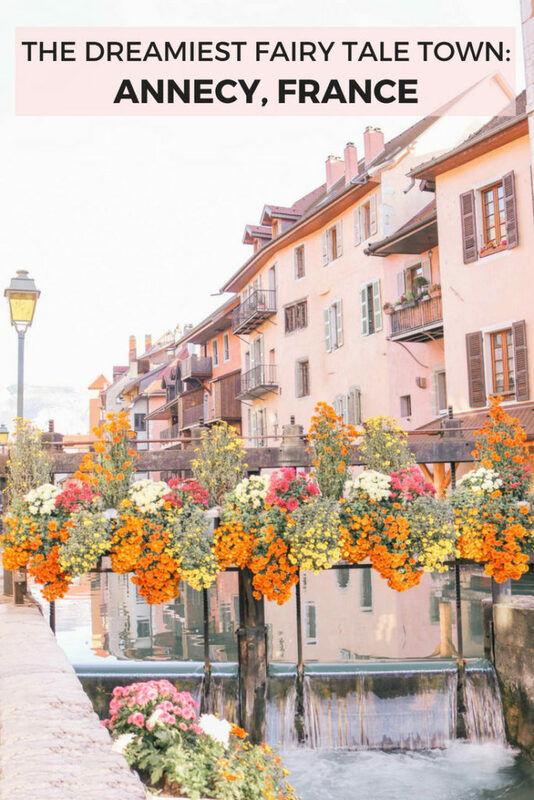 Is Annecy, France one of the prettiest French towns you’ve seen? 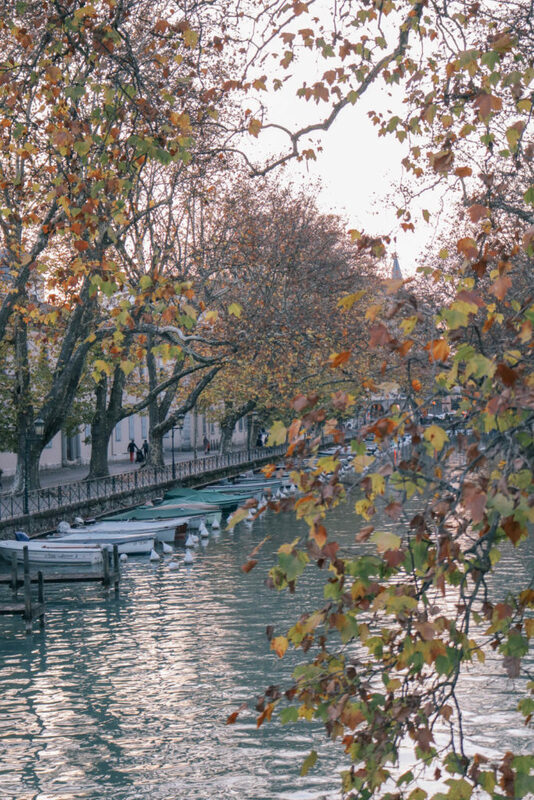 What are some of your favorite things to do in Annecy, France? 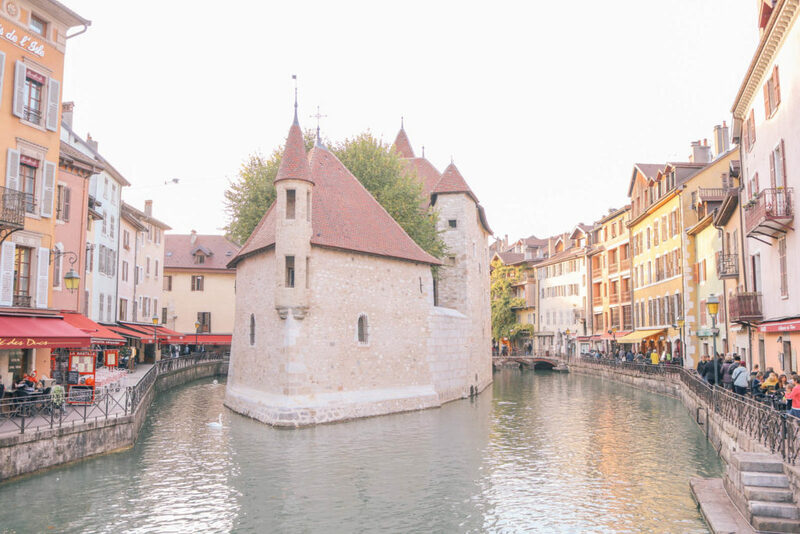 Did you like this post on things to do in Annecy, France? Please pin it! It’s certainly got a charming vibe to it, doesn’t it? I love how almost all your pictures have this pink hue to it, too. This place must be so awesome for photos! So charming!! I added a slight pink tint in Lightroom, but it went perfectly because the colors of all the buildings are like warm toned pastels! 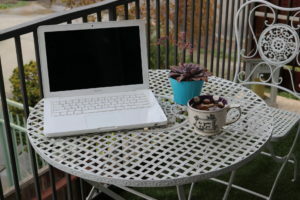 This place is so cute! I need to go here now! 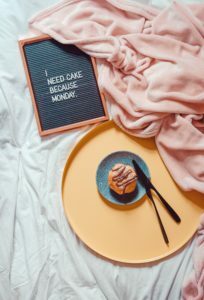 You should definitely add it to your list! It’s sooooo cute! Um is this where dreams and fairytales are made? This has to be one of the most romantic looking villages I have ever seen! 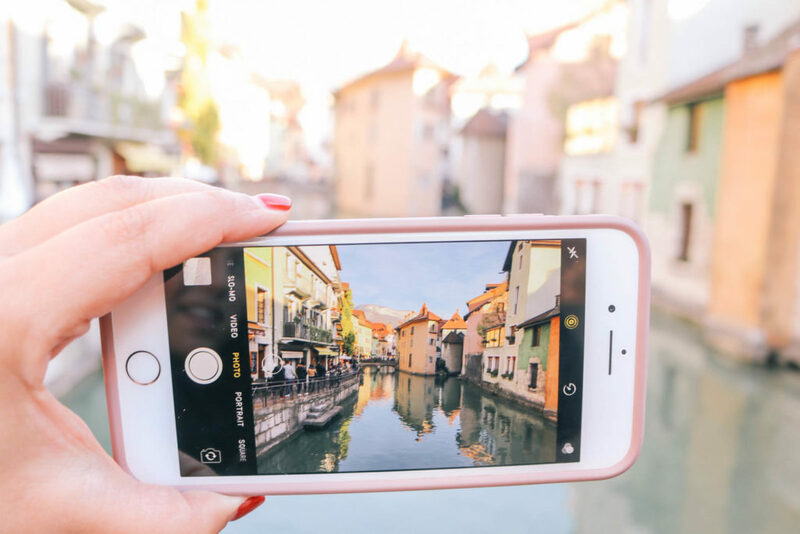 Your photos capture it so beautifully! I want to go here so bad, this seriously looks like its from a storybook! Right?! That’s how I felt the whole time! It was truly magical! 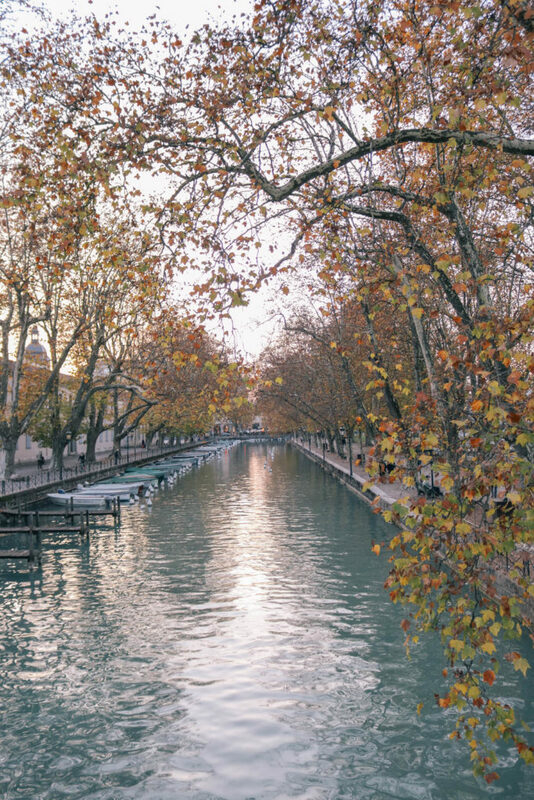 I love your photos of Annecy. It’s such a romantic place to visit. I’m a fan of places that you can cycle through too. 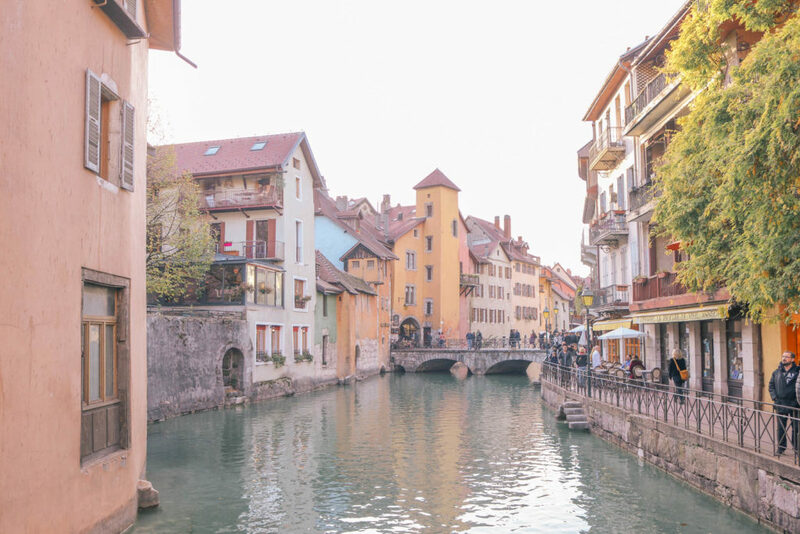 Can’t wait to visit Annecy in the future. Thanks for sharing. Thank you, Jackie! 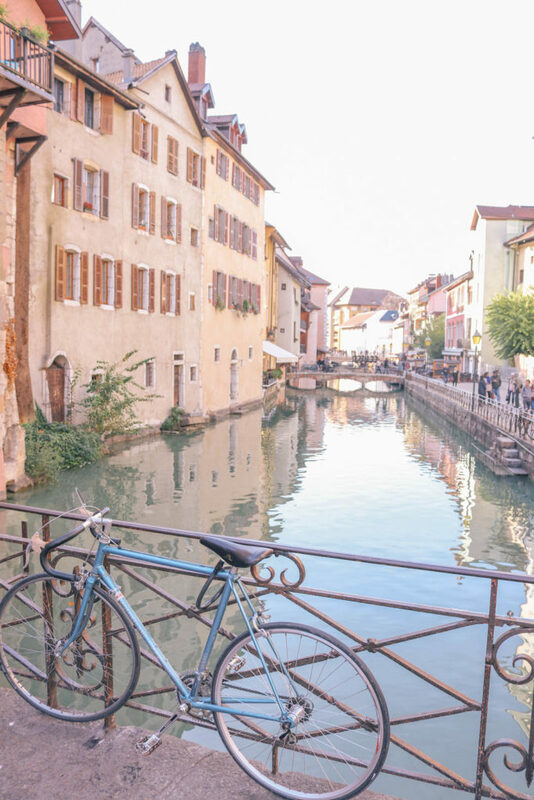 We didn’t have time to rent bikes, but we would LOVE to do a cycle tour of Annecy next time. I hope you get to visit soon! Lovely. It’s sad, I have visited Paris a few times but have not made it to the smaller cities in France. I am excited to see Colmar. 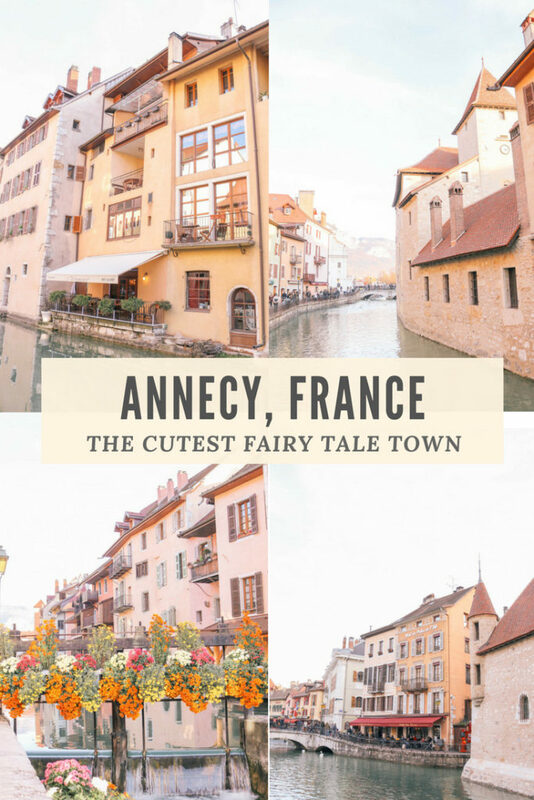 I will have to add Annecy to our list! I’m so excited for you to visit Colmar!!! Please take lots of pics, I can’t wait to revisit through you! 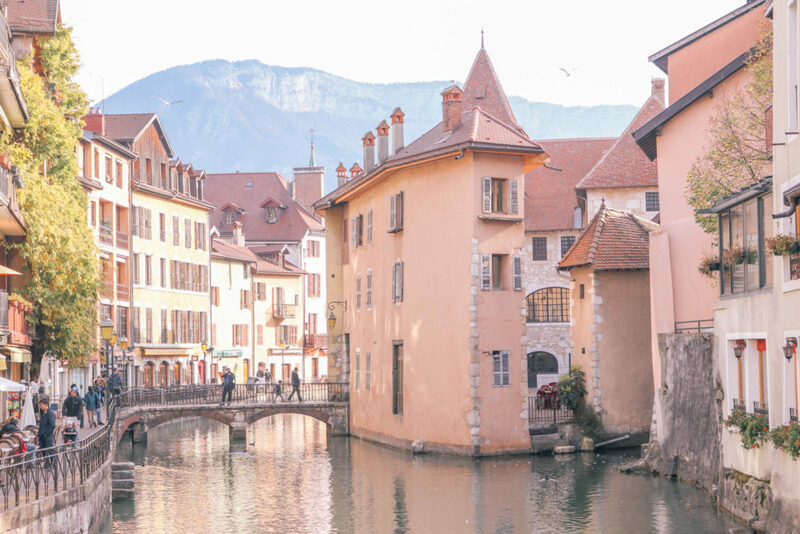 This sounds pretty stupid, but I had never connected pictures of Annecy with the lake of Annecy?! The lake is another reason why I would love to visit this city (and of course I need to kiss my boyfriend on that bridge?). Your pictures look stunning! Haha I feel like I miss connections like that all the time! Yes! If you want to be with your boyfriend forever, you should totally kiss him on the bridge! Awww you guys look so cute! And your photos are so dreamy!!! Haven’t been to France but when I do one day, hope to get a chance to visit this place. Definitely bookmarking! 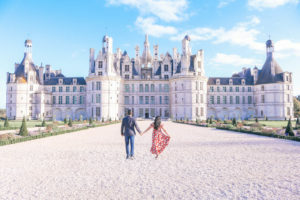 France is one of our favorite countries in the world! You’ll have to let us know when you’re going and we’ll share all our favorite towns with you! Love all these pictures! I wouldn’t have originally have thought to come here, but I think it must be a stop for me! 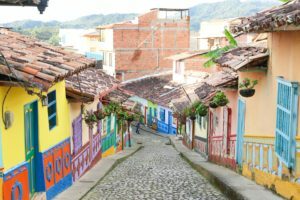 I have been making a list of smaller cities to explore. Thanks for all the tips! Hi Dana! 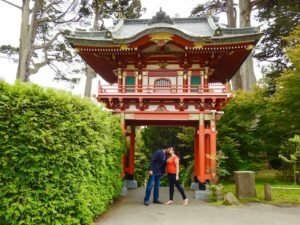 It wasn’t on our list either until two of our travel blogger friends recommended it. What other cities do you have on your list? I’m so in love with small French towns! YES! Sooo perfect for a weekend getaway! If you ever get the chance, I hope you’re able to visit! What a beautiful little town! 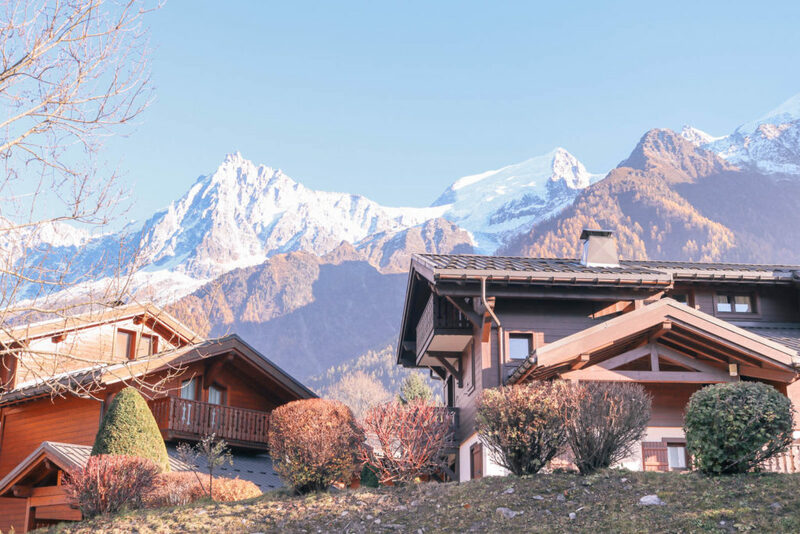 It reminds me of Colmar, with the added bonus of being near the mountains. Thanks for sharing! It reminded me of Colmar too with the fairy tale vibes! I loooooved the mountain views! Glad you liked it too! Aw thank you, Prameet! Glad you enjoyed the post! 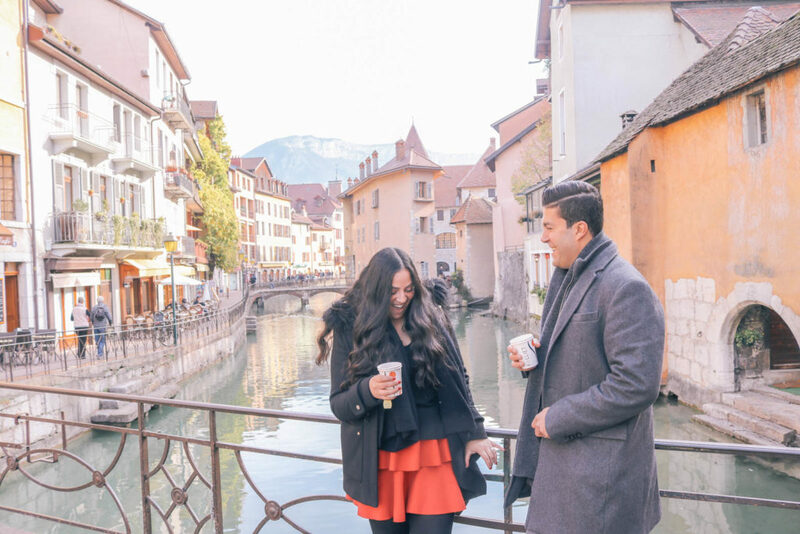 Annecy definitely seems like a very charming and mesmerizing city, Lena and Bassam! Your post convinced me to add it to the top of my bucket list. 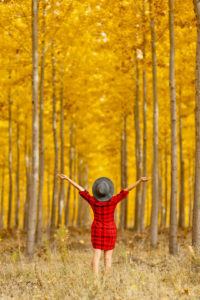 When would it be the best time of the year to explore it? We absolutely loved it! I’m glad you’ve added to your list! I would say spring or fall, but each season has it’s own charm. Spring you’ll see more flowers. 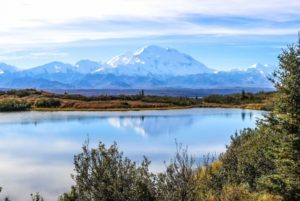 We went in the fall and found the weather to be very mild, so you could still boat and bike ride then, but of course in the summer those activities would be even appealing. Many stores close in the winter, but a small Christmas market opens. I know that’s no help, but I think any time of the year would be nice just depending on what you’re looking for. If you do end up going, I’d love to hear what you think!